Mo' and I moved to London around the same time, and we instantly knew that we would be best friends. Even after I left for Germany, and she called New York home, we still remained close as ever. Now that we're on same continent though, we decided to bridge the distance in our friendship and meet up in a new city for a reunion. 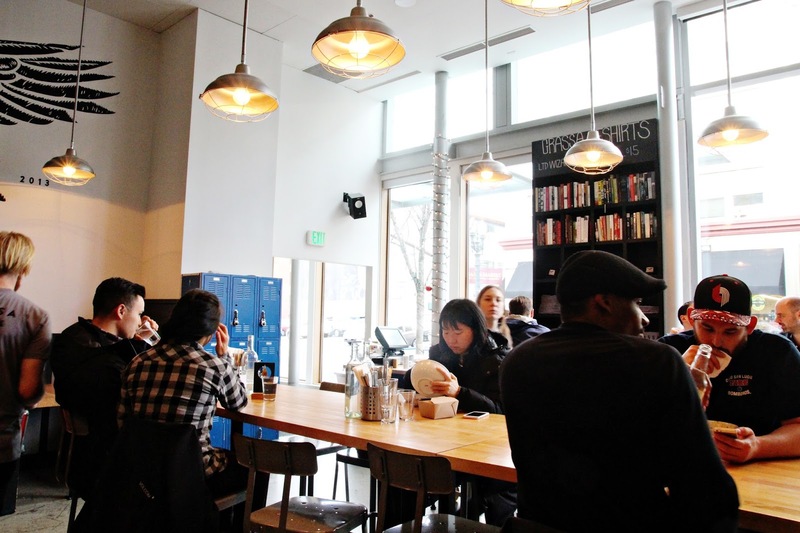 On a whim, we flew to Portland, and saw what the city had to offer. 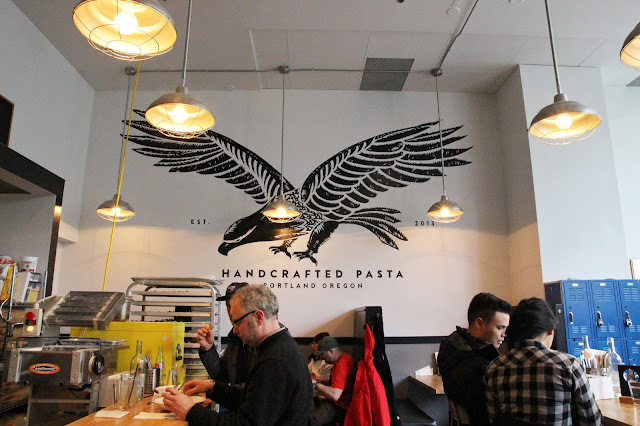 One of our first meals was at Grassa. 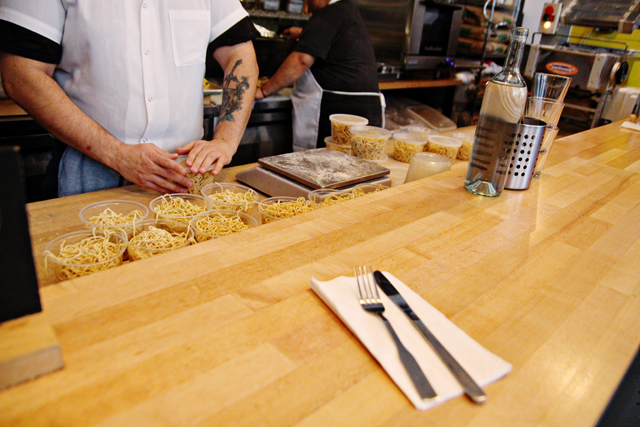 Their handmade pastas are prepared in bowls of Italian perfection. We started off with the Fritto Misto, and enjoyed a large portion of fried seafood. The Carbonara is one of their popular dishes, so we had to try it out. The runny egg yolk over pork belly might feel a little sinful at first, but it's so worth it. 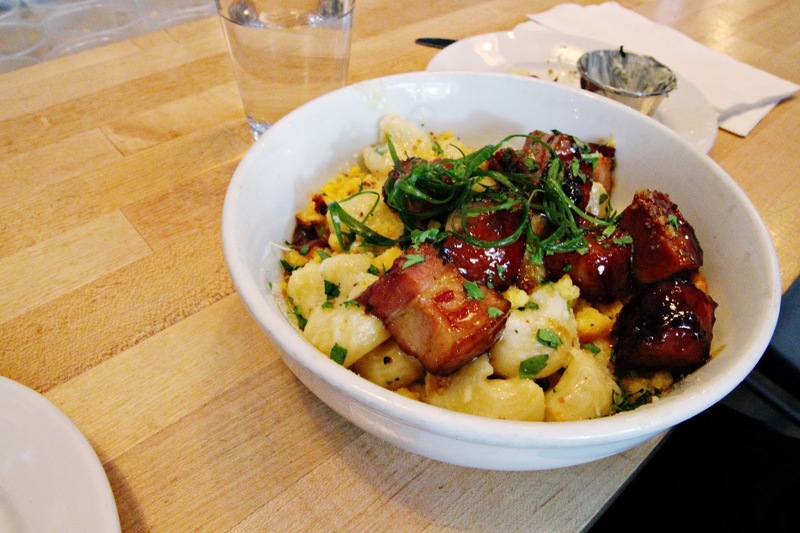 We also grabbed the Pork Belly Mac & Cheese. You can't go wrong with bbq pork belly, jalapeños, and cornbread crumbs - even if your waistline protests. 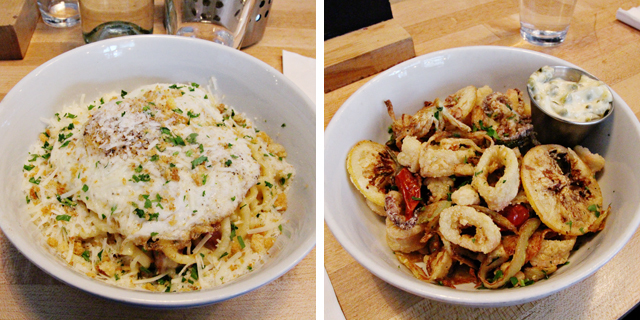 Every dish was a hit, and we totally understood why Grassa is quite popular. So make sure you get there early to snag a seat. If you're lucky, you might even get to grab a seat at the bar and check out the kitchen action live!